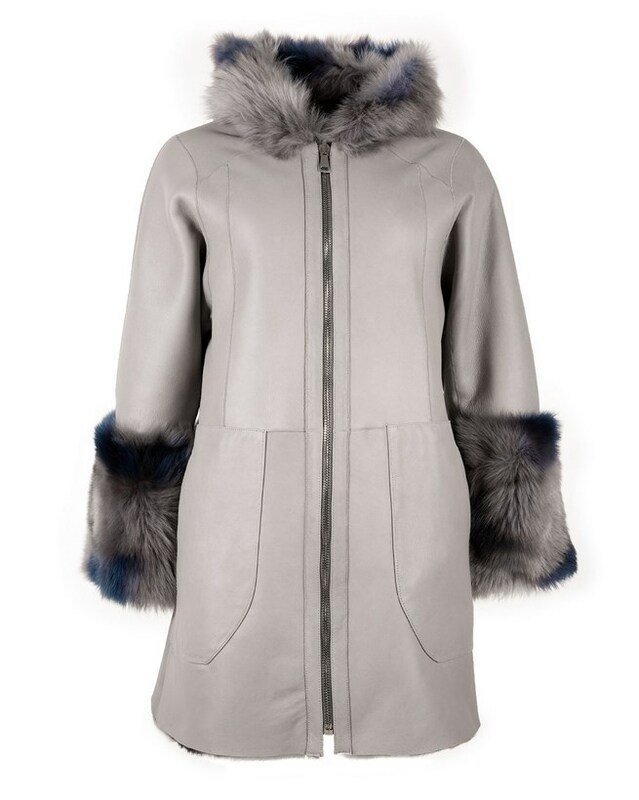 Double sided zip fastening, turn back statement sleeves, generous hood. Large pockets on either side. 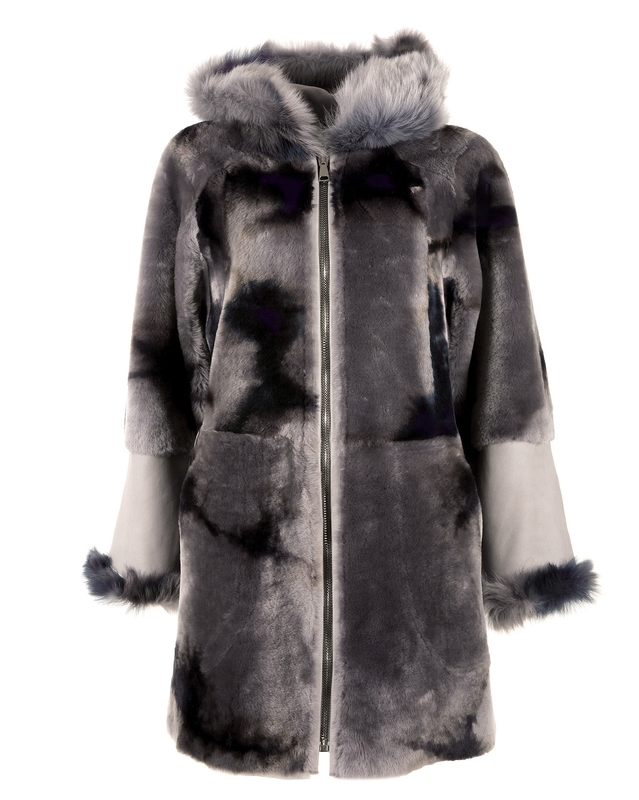 The amazing, unique colour effect on the shearling side is dyed using a hand printed process and soft leather finish on the reverse. Please be aware that as shearling is a natural product, variances within the colour and texture of our outerwear is to be expected. All our reversible sheepskin coats are graded so that they fit correctly when worn sheepskin side in, so when you reverse them, because the sheepskin is on the outside they will feel larger, if you definitely only want to wear them with the sheepskin side out – you may wish to try a smaller size. 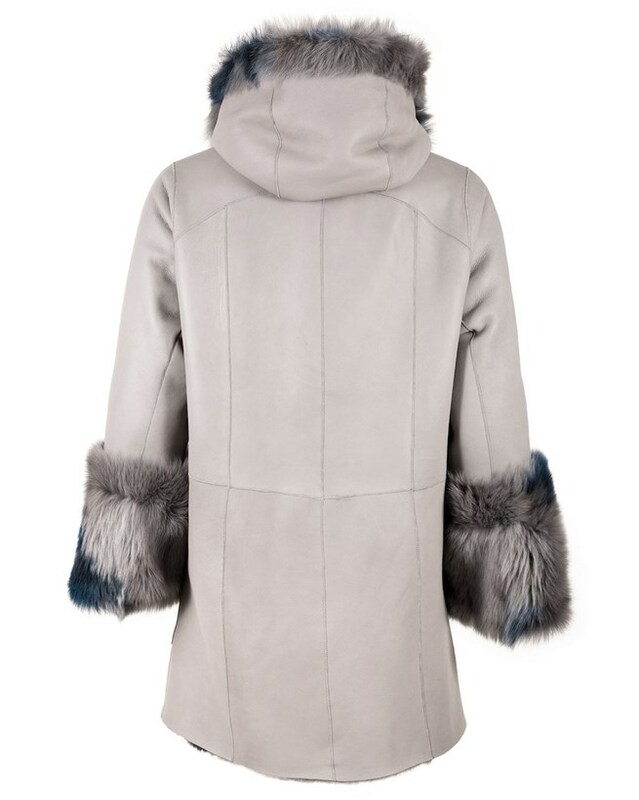 A very stylish, beautiful, casual coat. Looks absolutely amazing. I did not downsize but ordered my size 12 as I like the slightly oversized look - very chic and there is plenty of room for winter jumpers. Well made British garment. 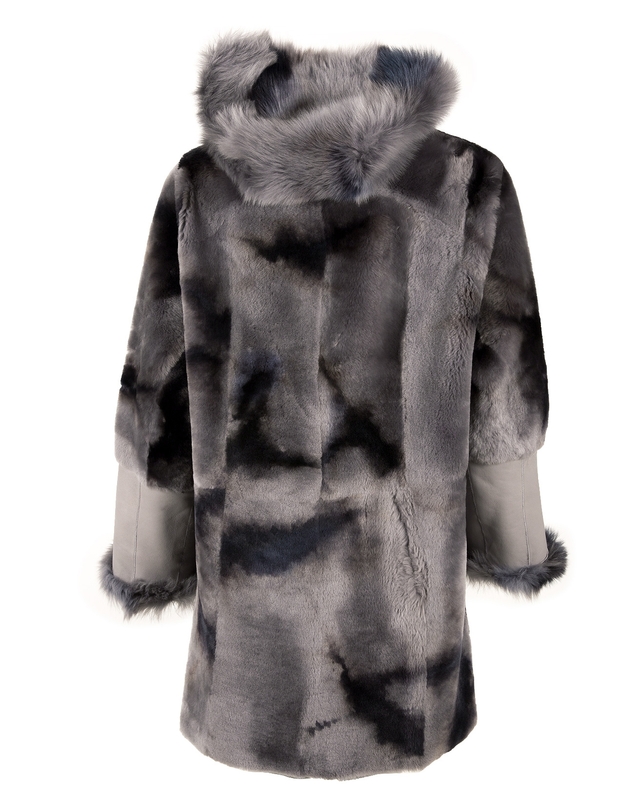 A fabulous coat. Rich looking and well made.lm a size 12 and went for a size smaller. Fits beautifully both ways. This was my husbands 30th wedding anniversary gift to me. Sadly had to send back as too big on me. Nice coat though.